Just like people, plants need to eat in order to thrive. 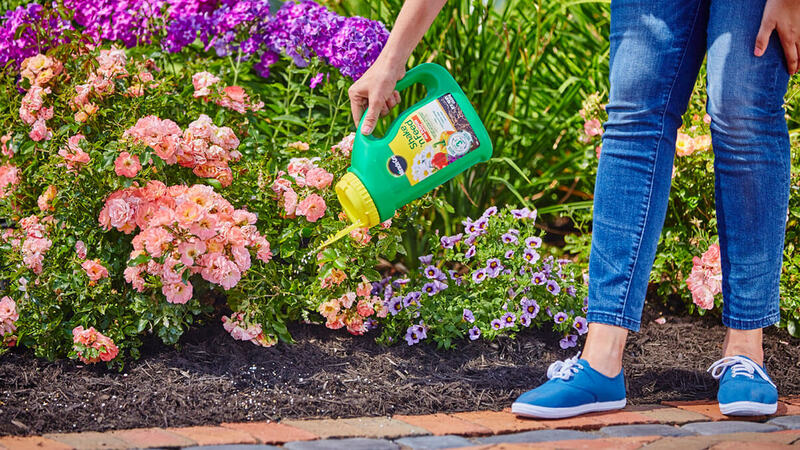 While many high quality bagged soils, such as Miracle-Gro® All Purpose Garden Soil and Miracle-Gro® Potting Mix, contain plenty of food to give plants a good start, many plants (especially heavy-feeding plants like tomatoes and dahlias) need more as the season wears on. See, as plants grow and continue to feed, the nutrition in the soil eventually becomes depleted and needs to be replaced. The best way to do that is to feed your plants with plant food, also known as fertilizer. These three key nutrients appear somewhere on every plant food package as a series of numbers, such as the 12-4-8 found on Miracle-Gro® Shake ‘N Feed® All Purpose Plant Food. The first number, 12, refers to the percentage, by weight, of nitrogen (N) in the plant food. The second number, 4, refers to the percentage of phosphorus (P), and the last number, 8, refers to the percentage of potassium (K). Plants also benefit from other nutrients, such as calcium and magnesium, which are included in many plant foods. If you look on the back of any fertilizer package, you’ll see a list of all the nutrients it contains. Plant food typically comes in three different forms: continuous release, liquid, and water soluble powders. 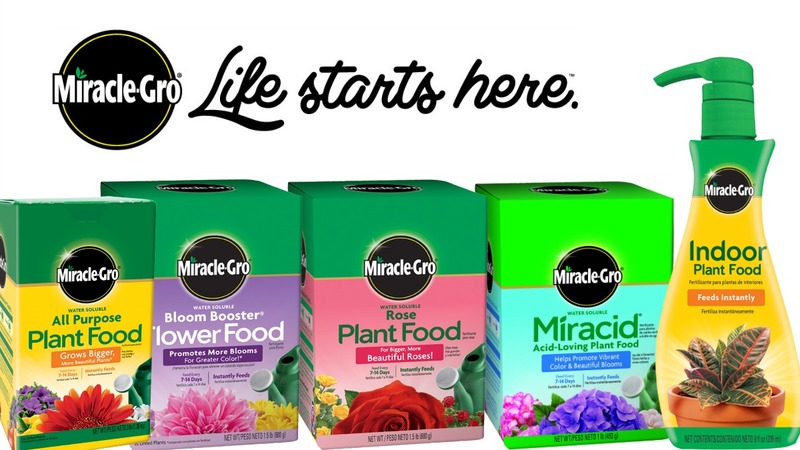 Continuous release plant food, likeMiracle-Gro® Shake ‘N Feed® All Purpose Plant Food, usually comes in granular form, and the nutrients are released slowly over time. Mix this type of fertilizer directly into the soil surrounding the plant. Details on when and how much to apply are spelled out clearly on the label. No matter what kind of plant food you choose or what time of year you’re feeding, be sure to follow the directions on the label for the best results. Do that and your plants will never go hungry!